The Grand Opening of the AT&T Performing Arts Center in October 2009 marked the long-anticipated completion of the Dallas Arts District, an idea first conceived more than 30 years ago. 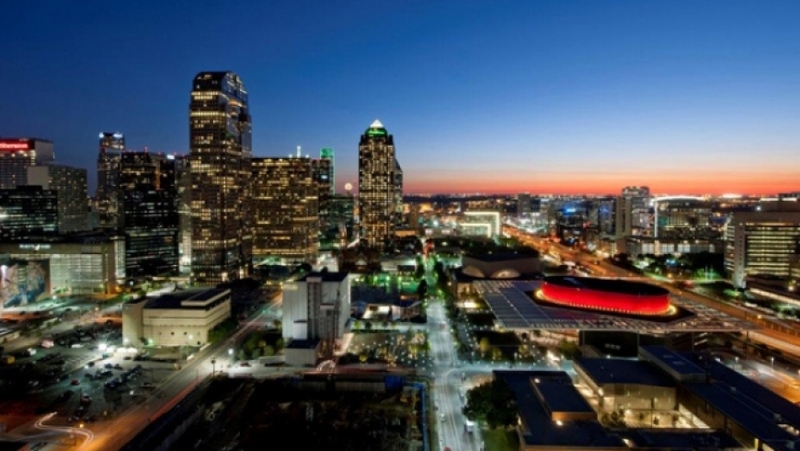 Today, the Center encompasses 10 acres within the downtown Dallas Arts District. The Center includes the Margot and Bill Winspear Opera House, Dee and Charles Wyly Theatre, Annette Strauss Square and Elaine D. and Charles A. Sammons Park, as well as Lexus Red and Silver underground parking areas. Nestled in among world-class museums, the AT&T Performing Art Center is an architectural gem. The visually interesting façade and endlessly moveable interior of the Wyly Theatre encourage artists to have some fun, while the ruby-red prow of the Winspear Opera House juts toward the highway, beckoning passersby to enter and experience something amazing. The Center presents a variety of programs year-round in its indoor and outdoor performance venues, including the Broadway Series and, in association with TITAS, contemporary dance and music, as well as other touring and community performances. The Center also provides performance space for local performing arts organizations, including The Dallas Opera, Dallas Theater Center, Dallas Black Dance Theatre, Texas Ballet Theater and Anita N. Martinez Ballet Folklorico. The Center’s mission is to provide a public gathering place that strengthens community and fosters creativity through the presentation of performing arts and arts education programs.